Not tight enough to be a beanie, yet not loose enough to be a slouch, Diamondweave Hat delivers highly textured diamonds that float over background purl stitches. As you know, “textured” means you’ll be moving a lot of stitches around, so be prepared. But the payoff is a beautifully patterned hat that has depth and drama. Click on the link below for the free pattern pdf. Enjoy! 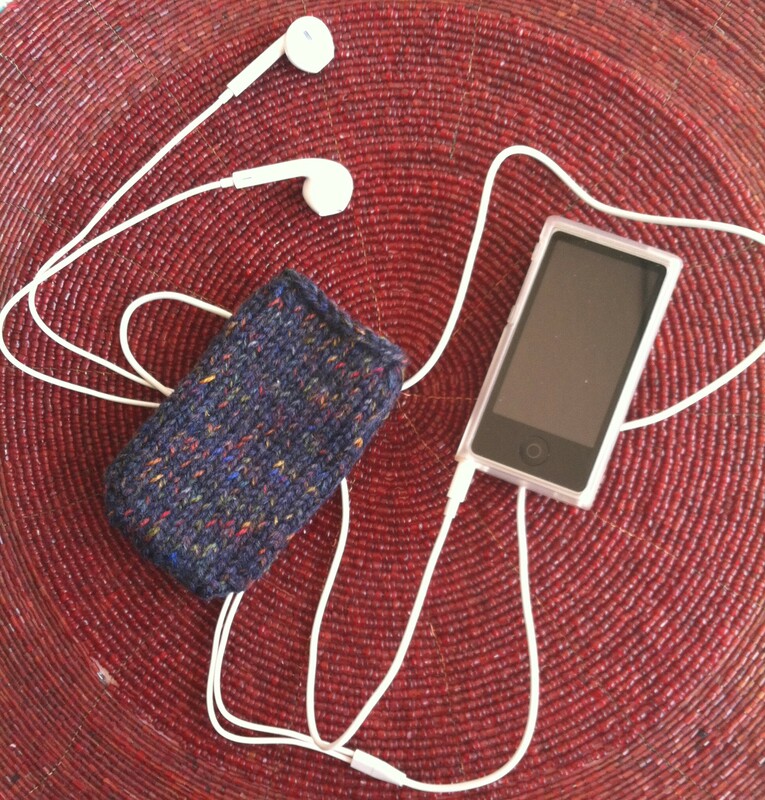 I recently bought an iPod Nano to take some tunes with me wherever I go. Wanting to protect my investment, I quickly made a little pocket for it to slip into. My 3rd graders loved it, and now I think I am going to start a knitting club at school for them. Using the magic cast on (you can see a youtube video to help you), cast on 24 stitches. Put 12 stitches on one needle (“Needle 1”), and put 6 stitches each on two more needles (“Needles 2 and 3”). 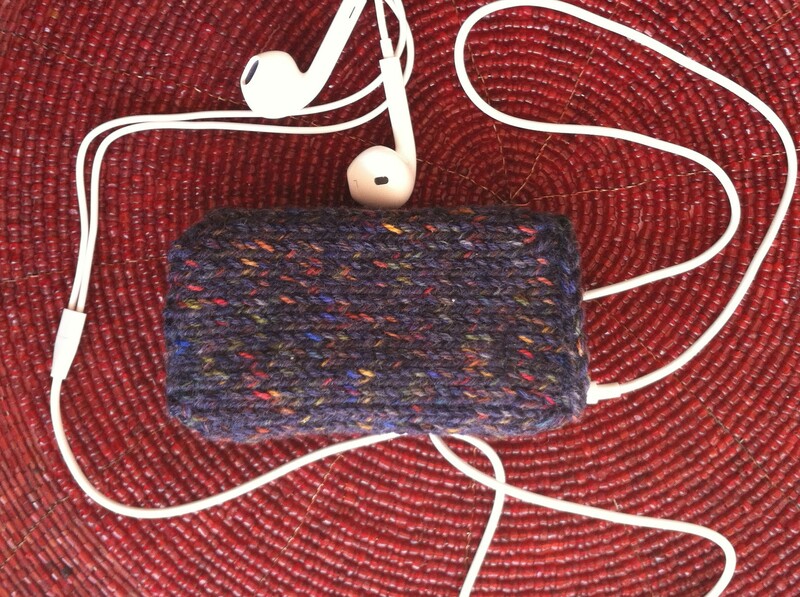 Continue knitting in the round until about 1/4″ of your iPod is sticking out, checking to see if your iPod fits. Decrease Row: Decrease one stitch at the beginning and end of Needle 1. Decrease at the beginning of Needle 2 and again at Needle 2. This decrease row should help your Nano stay in its pocket. Bind off loosely and weave in the loose ends.